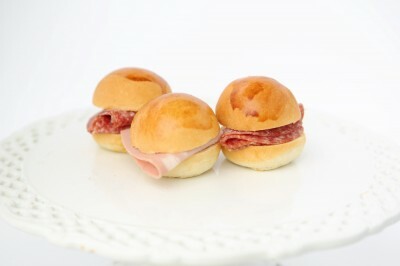 They are small milk rolls, garnished with different types of sausages: Mortadella Alcisa, Hungarian salami or ham and cheese. Flour, milk, margarine, sugar, salt, yeast. Stuffing: mortadella, salami, ham and cheese.